The second oldest known star (after HE1327-2326) developed shortly after the origin of the universe. 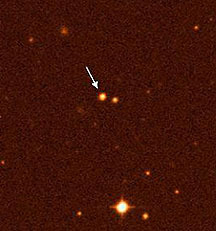 It could be the first discovered population III-star of the first generation of stars. Its age shows by its low content of heavy elements beyond helium. Once again it made the astrophysicians wonder, because from their theories such a small star couldn't form so early.